This week's newsletter is devoted to sharing resources related to poetry, as National Poetry Month begins on Wednesday. 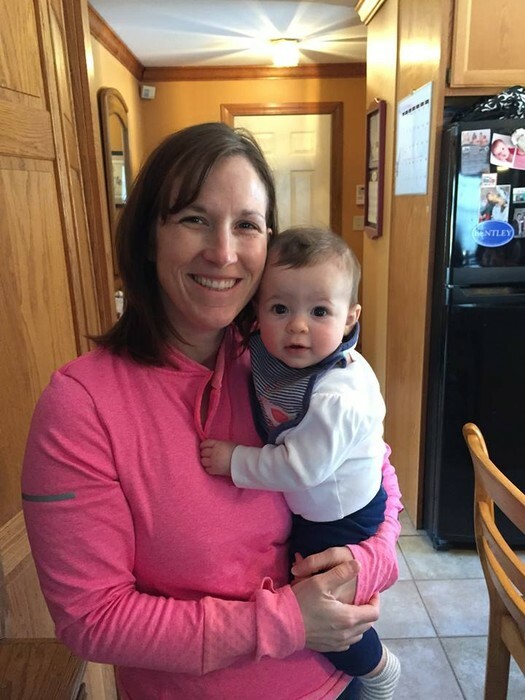 I hope you find some tips, titles, and tools that you would like to use in your classroom. Hopefully, you can find ways to embed poetry naturally in your literacy workshops, morning warm-ups, close reading, or content area studies. Poetry should not feel like one more thing! Let me know if you would like to work together to integrate poetry in your classroom. Happy Reading! If you are interested in integrating poetry in your writing workshop or with your students' writer's notebooks, you should check out Poetry Mentor Texts! Valerie recently used many of the lessons in this professional book with her students during their daily writer's notebook time. Below you will see some images from the poems they created! 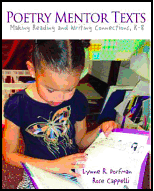 Poetry Mentor Texts includes many sample poems and mentor text recommendations that you can use to get your students interested in crafting their own poems. See me if you would like to borrow this resource! 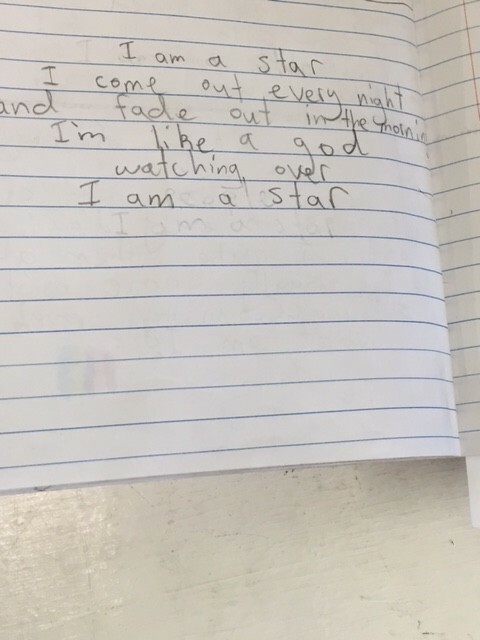 This link from edutopia http://www.edutopia.org/blog/brisk-bright-approaches-poetry-month-brett-vogelsinger includes 12 artful strategies to engage students with poetry. (You will find the list halfway down the page.) Many of these ideas would be fun, quick and easy to use! For those of you are are tech-saavy, here are 9 Mobile Apps for Poetry Month! Many of the apps listed are free, easy to use and can be downloaded on your iPads. These tools might be a great way to have students use their tech tools in a purposeful way while exploring poetry! Reading Rockets has a number of excellent resources and recommendations for National Poetry Month. I know that many of you love the website Writing-Fix. Check out this link for their poetry resources! FREE Poetry E-Book from Stenhouse! Stenhouse Publishing is offering a free e-book for National Poetry Month! This 284 page download (please don't print all of it!) includes sample chapters from 14 different professional books, including Poetry Mentor Texts! There are chapters on topics ranging from literacy stations to poetry podcasts. This resource is available through April. Check it out! Where is poetry in our curriculum? 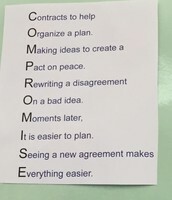 Although we don't have learning goals related specifically to the reading of poetry, the learning goals in Use of Language can be easily connected to this genre. Level 2: Understands how descriptive words and phrases provide meaning. Level 3: Understands the use of synonyms and antonyms to add meaning to text. Level 4: Understands how the use of homophones and homographs impact the meaning of text. Level 5: (Figurative Language) Understands the use of simile, metaphor, idioms and proverbs add meaning to text. 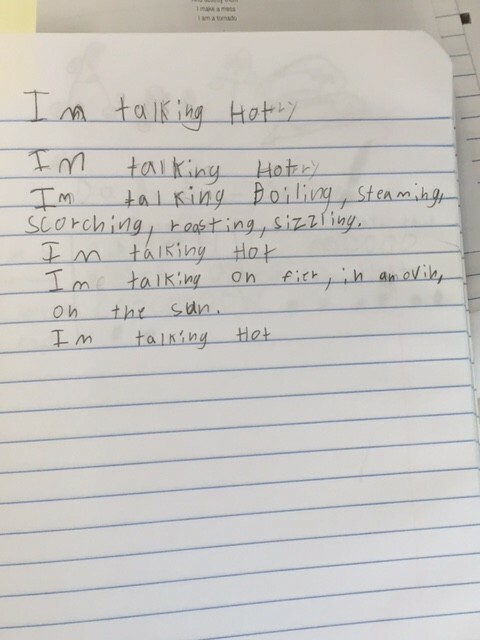 The literature learning goals for inferring and theme can also connect to your reading of poetry. You can also integrate learning targets related to conventions (adjectives, verbs, adverbs) or the traits of writing (word choice, voice, sentence fluency) in your poetry instruction. Close reading with poetry involves digging deeper into structure and word choice. 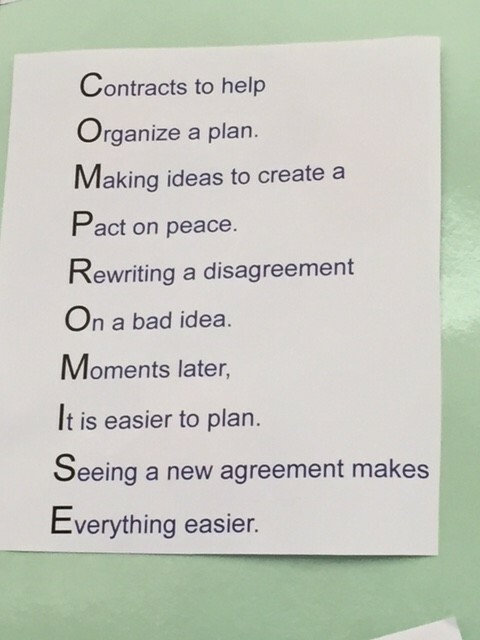 You can ask students to read the poem closely with a lens for figurative language, parts of speech or word choice. As a class, you can lift lines from a variety of poems and collect them around your classroom on sentence strips. Students enjoy the opportunity to sketch or paint the images they visualize when reading a poem. Close reading is an excellent opportunity to discuss the theme or author's message in the poem. Can poems be used to inform, persuade, or entertain? Examine the author's purpose in writing the poem. Use your close reading poems as an opportunity for students to create their own poems by adapting the words or structure of the author's poem. 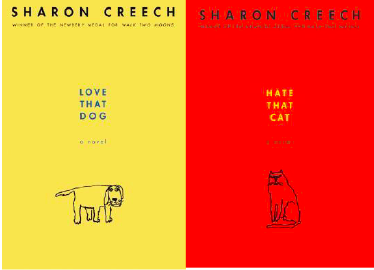 The book Love That Dog would be a great selection for close reading! I have a sample booklet of the mentor poems included in this text. 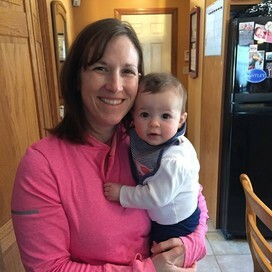 Let me know if you would like to check it out! Poetry is a valuable instructional resource! I have a basket of poetry books on my shelf in Bri's room. Feel free to stop by to borrow any books for writing mentor texts or read alouds! Here are a few of my favorites! This book has a poem, as well as an informational page, for a variety of animals. 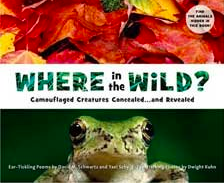 Your students will love searching for the camouflaged creatures in the photographs! Ten creatures await, camouflaged in artful, full-page photographs, while playful poems offer clues about each animal's identity and whereabouts. Think you've spotted one? Lift one of ten gatefolds to find out. A full page of fascinating information accompanies each animal so readers can learn how nature's camouflage serves hunter and hunted alike. 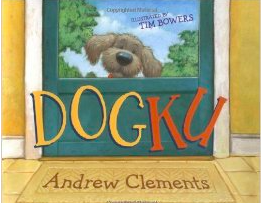 Dogku tells the story of a day-in-the-life of a dog written in haiku. Students are always engaged in the story and the style of this fun text! 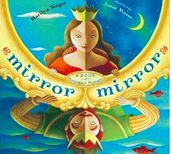 Mirror Mirror is a great mentor text for point of view! If you are planning a fairy tale unit or unit of study on perspective writing, you will want to check out this book. I also have a copy of Follow Follow, which is another text by Marilyn Singer written in the same style. I highly recommend these books! It’s a revolutionary recipe: an infectious new genre of poetry and a lovably modern take on classic stories.First, read the poems forward (how old-fashioned! ), then reverse the lines and read again to give familiar tales, from Sleeping Beauty to that Charming Prince, a delicious new spin. Witty, irreverent, and warm, this gorgeously illustrated and utterly unique offering holds a mirror up to language and fairy tales, and renews the fun and magic of both. Love That Dog was the first novel written in verse that I used as a read aloud. It's an excellent read aloud for introducing your readers to narrative poetry. Students will learn to love poetry right along with the narrator, Jack. Hate That Cat, the sequel to Love That Dog, is a perfect read aloud for introducing figurative language, characters changing over time and inferencing. 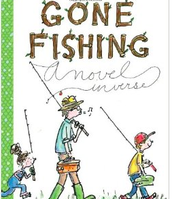 Gone Fishing A Novel in Verse would be a fun read aloud from our Black Bear Book Award list. Each poem can be enjoyed individually, but together they tell the story complete with a conflict, resolution and characters changing over time. This text would also be a great introduction in any upper elementary classroom to narrative poetry and different types of poems. 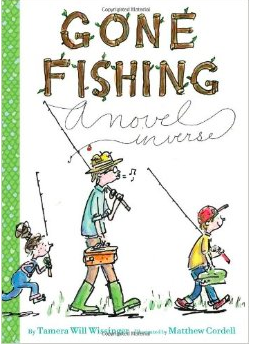 Using a wide variety of poetic forms – quatrains, ballads, iambic meter, rhyming lists, concrete poetry, tercets and free verse –this debut author tells the story of a nine-year-old boy’s day of fishing. Sibling rivalry, the bond between father and son, the excitement – and difficulty -- of fishing all add up to a day of adventure any child would want to experience. 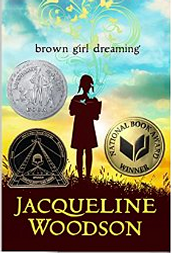 Winner of the National Book Award and a Newbery Honor Medal, Brown Girl Dreaming is beautifully written novel in verse. Jacqueline Woodson tells the story of her childhood through narrative poetry. 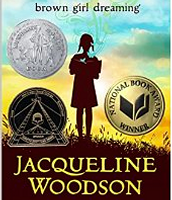 This would be a powerful read aloud for any upper elementary classroom, particularly grades four and five. All book summaries are from Goodreads.com. We also have a wonderful collection of poetry anthologies in the library, if you are looking to make poetry more available in your classroom! 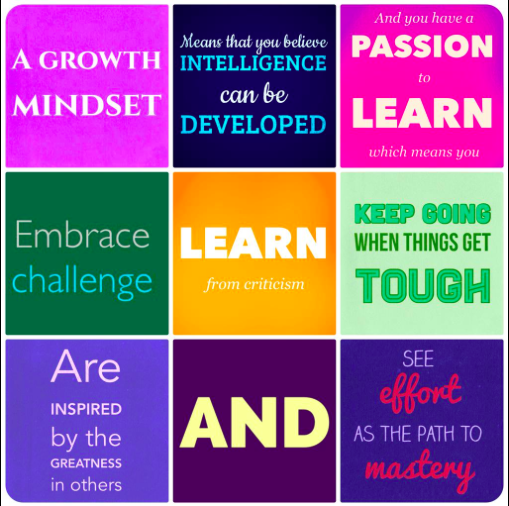 I thought this was a neat image to share with you students about growth mindset!